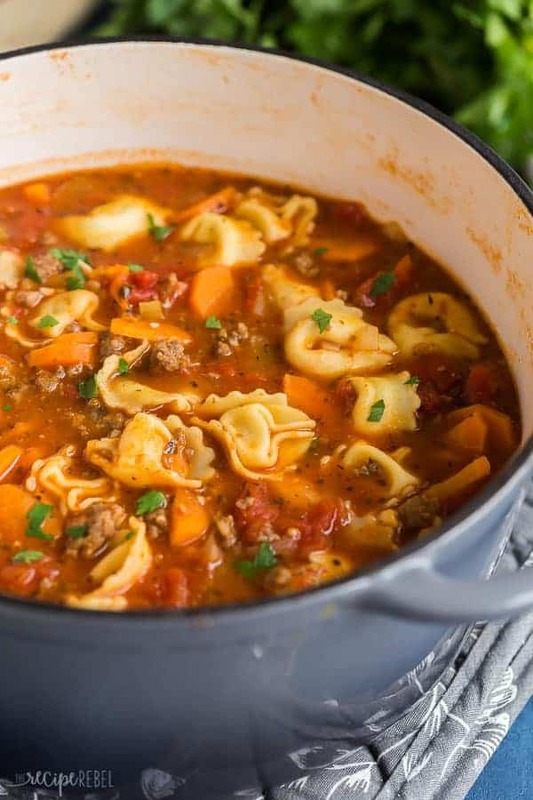 This Sausage Tortellini Soup is a tomato-based soup loaded with vegetables, Italian sausage and cheese tortellini. It's the perfect cold weather soup and freezer friendly! Could you use frozen tortellini? Hi! Do you use the canned tomato juice in the recipe or just the tomatoes? The whole can, juice and all! This soup was amazing and hearty. I am making again tonight for a birthday get together with friends. Thanks Kelli! I’m so glad to hear you liked it! This is a keeper. Such a hearty soup for our cold winters! 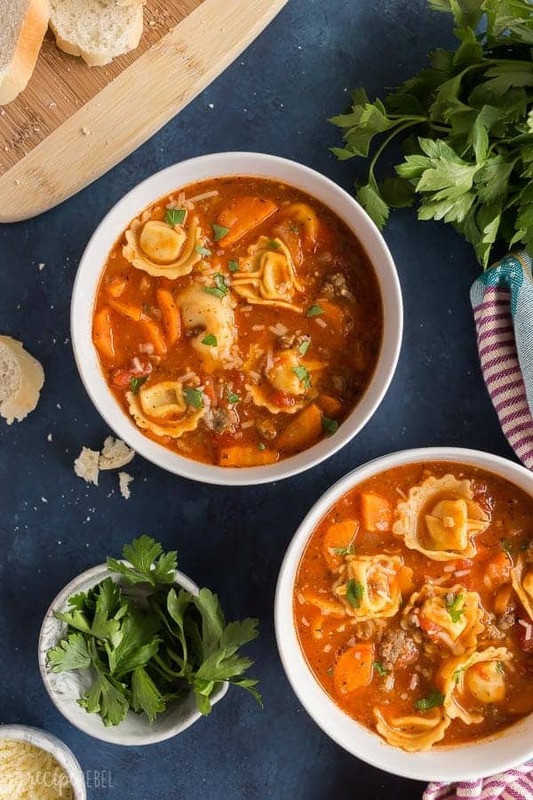 How would you adjust this recipe to make this in the instant pot ?? Love it! Made it twice already and added some kale. This is becoming my favorite goto soup. It makes my day to hear that! Could you use gnocchi instead of tortellini? Oh definitely! That would be awesome! This soup is hearty and delicious – and so easy! A total keeper. Looks delicious! 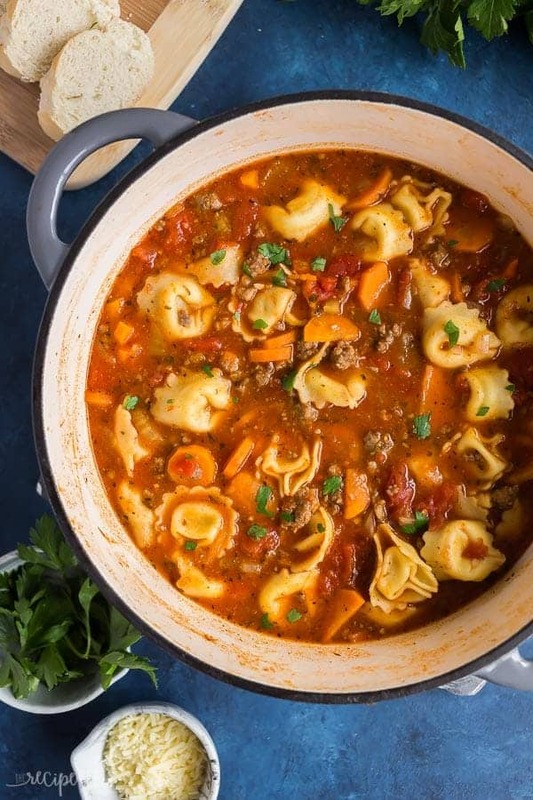 What brand of tortellini do you use? They are beautiful! This is such a great weeknight dinner! Love the sausage tortellini combo. Give me all the tortellini soup! YUM! This is so perfect for Fall. Just what we wanted on a chilly evening!